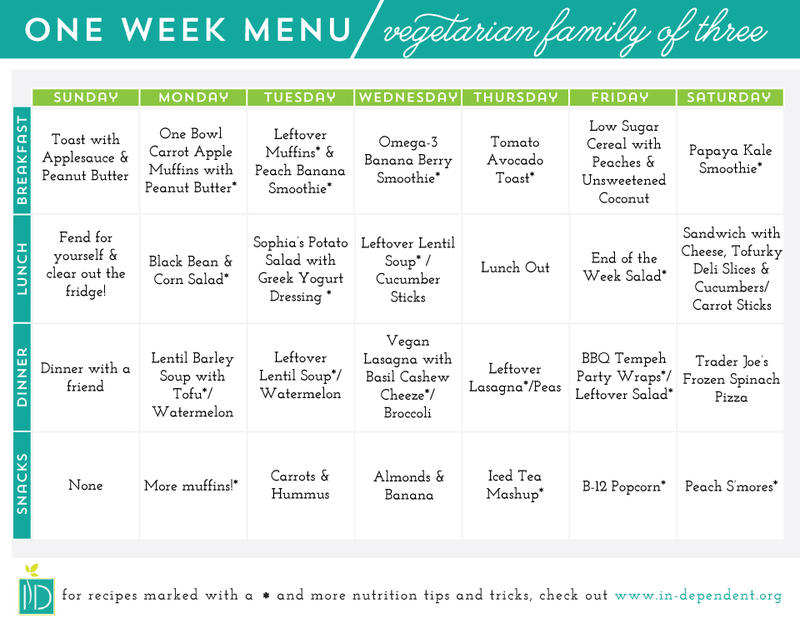 When we started InDependent, we thought we would like to offer a weekly healthy menu to help military spouses with their menu planning. We quickly abandoned the idea because while our team wants to eat healthfully, we all come at it from different angles just like other families out there. And, when I did a casual survey of my Facebook friends, I found that grocery budgets vary wildly —from $100/week for a family of four to “you don’t want to know”from a mom with three hungry boys and a soldier at home. What I have noticed over the past year though, is a curiosity about how much people spend on groceries. I wasn’t the only one asking. 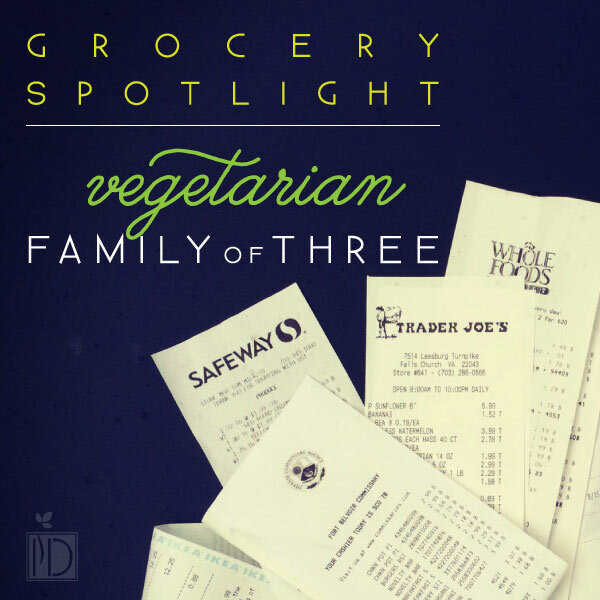 So, to answer the question of “how much do you spend?” we started this new grocery spotlight series to profile the grocery spending of military families and showcase the recipes they made during the week. This series isn’t intended to help you eat on a budget or to promote any particular way of eating. It just lets you spy into the real kitchens of other families and offers some menu planning inspiration. If you’d like to be featured in future months, please email me! I guess it’s only fair that I go first. We currently live in Northern Virginia. My husband and I are both lifelong vegetarians. We have never eaten meat, except by accident. We have a nine-year-old daughter that we’re of course raising as vegetarian. She likes everything except for avocados. I’d like to give myself a pat on the back for this, but know that if I had another child I might be humbled by the whole nature vs. nurture thing. My husband gets teased at work for being cheap, but I like to call him sensible. We don’t follow a family budget, but we just try to make the best choices we can as we go. It’s kind of like the “throw out the scale, make healthy choices most of the time, and cut back or work out more when the jeans get too tight”philosophy. Food shopping is the one area that we don’t scrimp, and truthfully I’m a little worried right now about adding up the pile of receipts sitting beside me. I don’t particularly want to know the total, but I bet you do. Just to take the edge off of the shock, let me say that we shopped at the beginning of the week and the end of the week, so I started the next week with a full fridge. As a percentage of the budget, fresh produce does take a big chunk, but if we were looking to spend less to prioritize healthy choices, we could definitely cut back on treats and beverages. Food shopping is a little bit of a hobby for us. Can you tell? Fort Belvoir Commissary - We live quite a ways from post, so I give a list to my husband and he gets what he can at the commissary. Trader Joe’s - Their products tend to be higher quality (easier to find products without sugar, colors, flavors, trans fats, high fructose corn syrup, BPA-free cans, etc.) at a reasonable price. Whole Foods - They are of course more expensive, so we go there for specialty items like vegan marshmallows and vegetarian proteins. Sale produce and the 365 house brand can be reasonably priced. The Swiss Bakery - Bread is one of the hardest things to buy at a regular store because it’s full of crazy ingredients. My husband surprised me with a beautiful Suisse Boule and some Laugen rolls. Wegmans - We popped in just for fun because people rave about this store. It was certainly well-stocked with beautiful prepared foods and other specialty sections, but the price point was pretty high so we just picked up a little bit of produce. Cocos Food International Market - We were curious about what we would find in an international market. Prices for produce in this store were average to low and they carried things that I’ve never heard of before. If I want to expand my repertoire of international recipes I make, I think I could find any obscure produce here. We held our curiosity in check and walked out with some produce staples, a piece of dragon fruit, and a dosakai cucumber. Safeway - My husband went in quickly for some onions and a rutabaga. 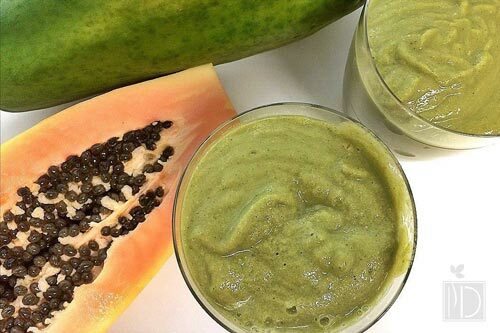 Place ingredients in order into a blender and process until smooth. 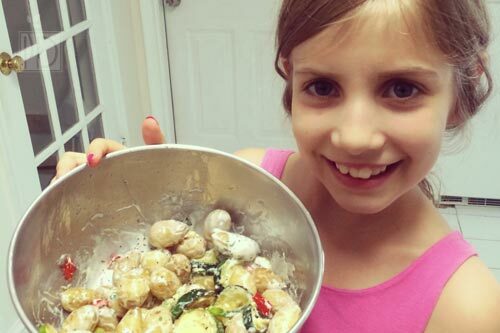 My daughter made this salad and I didn’t keep track of the measurements, but you can make the dressing to taste and whatever veggies you have on hand. I made this salad with produce I still had on hand at the end of the week. I chopped everything up, put it in a big bowl, drizzled olive oil over the top, and finished with a sprinkle of sea salt. In a large pot over medium heat, sautéthe onion, green pepper, and garlic until tender in just enough olive oil to keep the veggies from sticking. Add broth, water, barley, carrots, lentils, oregano, thyme, salt, and pepper. Bring to a boil. Reduce heat, cover, and simmer for 45 minutes. Meanwhile, brown the cubes of tofu in coconut oil, using a fork to gently turn them individually. Add tofu and tomatoes, heating through. Simmer until lentils and barley are tender. Add additional salt and pepper if desired. Place tea bags into a quart-size Mason jar. Cover with boiling water and steep for five minutes. Fill a pitcher 1/4-1/2 full of ice. Pour steeped tea over ice. Fill the rest of the way with cold water. Refrigerate. Use an air popper to pop corn. Drizzle with melted butter. Sprinkle with nutritional yeast flakes and salt. Slice peaches thickly. Grill over fire until warm. Meanwhile, roast marshmallows. 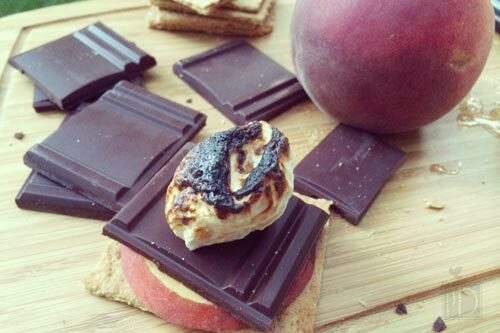 Stack warm peaches, chocolate, and roasted marshmallows onto graham crackers in that order. Top with another cracker. Which recipe are you most likely to try? 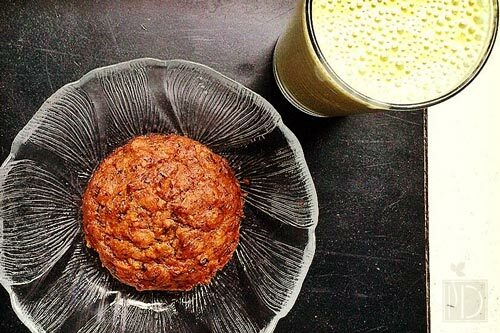 Be sure to let us know if you make something using hashtag #IDfoodchallenge.